The Real Betis Balompié host their home matches at the Benito Villamarín stadium, where the incredible atmosphere will surround and absorb you as soon as you enter it. Although it was inaugurated in 1929, the stadium has gone through several reformations and today it has a capacity for more than 60,700 fans. Can you imagine all these people shouting and singing simultaneously? Below is a complete guide to help you buy Betis tickets online. You just have to select the match you plan to attend and pick your seat. Easy and instant access! Purchase now your Betis tickets. Don’t miss your chance to see Betis live at the Benito Villamarín stadium! Have a look at the official calendar of matches and verify that Betis play home. Look for the matches where the Betis club’s name comes first (e.g. 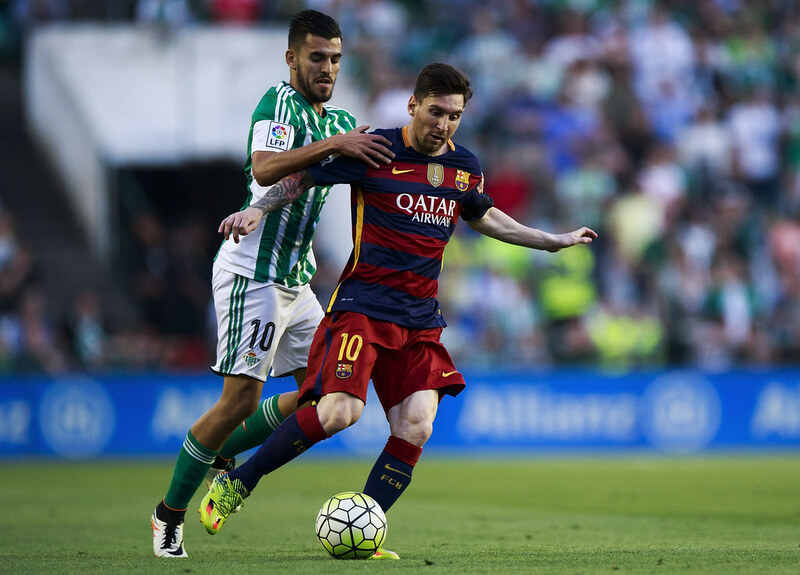 Real Betis Balompié – FC Barcelona). If not, Betis plays away. Make sure about the final date and time of the match. These details are confirmed only a few days before. As a rule of thumb a match takes place on a Saturday, Sunday or Monday. However, Liga matches may take place on weekdays because of other official competitions (e.g. Copa del Rey). Ticket prices vary according to several factors: the importance of the rival, the seat location, the day of the week the match takes place, whether the match is aired on free TV or not, and the competition (Liga, Copa del Rey, Champions League or Europa League). Unfortunately, the current system doesn’t allow you to buy your Real Betis FC tickets months or even weeks in advance. As a matter of fact, you will only be able to purchase your tickets a few days in advance. However, Betis and Sevilla FC never play at home the same week which means that there is a soccer match every single week in Seville. So if you have no real preference for one club or the other, you always have a chance to get tickets. On the ticket, ‘Puerta’ is the door number that you enter, ‘Fila’ is the row, and ‘Número’ is the seat number. To start with, check the seating chart. As you can imagine, better seats are much more expensive than other with less visibility. In the Benito Villamarín stadium the areas are Preferencia, Fondo, Gol Norte and Gol Sur (Preferencia being the best). Generally speaking, the seats located on each side of the field are better. From there you can see both goals, having one on your left and the other on your right. Additionally, the seats closer to the midfield and in the mid stands are the best ones. Certain matches are particularly popular and the high demand makes it hard to find tickets. Expect higher prices and less availability in those matches involving strong teams (e.g. Real Madrid FC or FC Barcelona) or their historical rival, Sevilla Fútbol Club. Sometimes, you may even not find tickets to seat next to your party. Nevertheless, try to buy tickets in the same zone, they will be reasonably close to each other. The are a few only sheltered areas inside the stadium. They are located at the Voladizo (Preferencia area) and the backrows of the Grada Baja and Primer Anfiteatro (Gol Norte, Gol Sur and Fondo), and also of the Preferencia area (inside Preferencia). If it sounds confusing look again at the seating chart mentionned before. The rest of the seats are uncovered (i.e. bring a raincoat or an umbrella if it’s cloudy! ).